To help shift people’s diets, we propose a new framework based on proven private sector marketing tactics: the Shift Wheel. The development of the Shift Wheel was informed by a range of consumption shifts already successfully orchestrated by industry, nongovernmental organizations (NGOs), and government. These include shifts such as from caged to free-range eggs in the United Kingdom, from higher- to lower-alcohol beer in the United Kingdom, and away from shark fin in China. 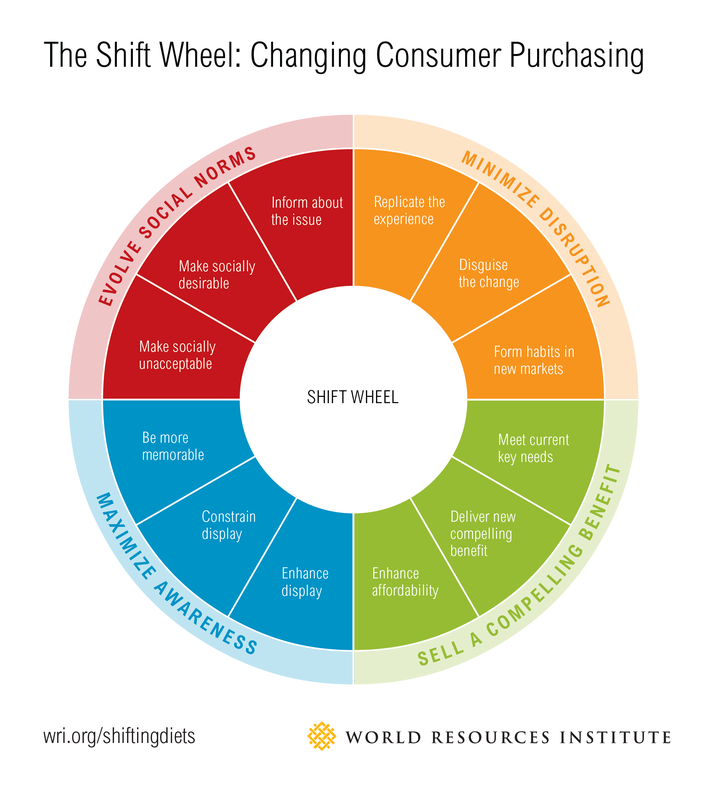 The Shift Wheel comprises four complementary strategies: minimize disruption, sell a compelling benefit, maximize awareness, and evolve social norms.